Boho infinity scarf, gift idea for women who loves warm colors and 70s style. 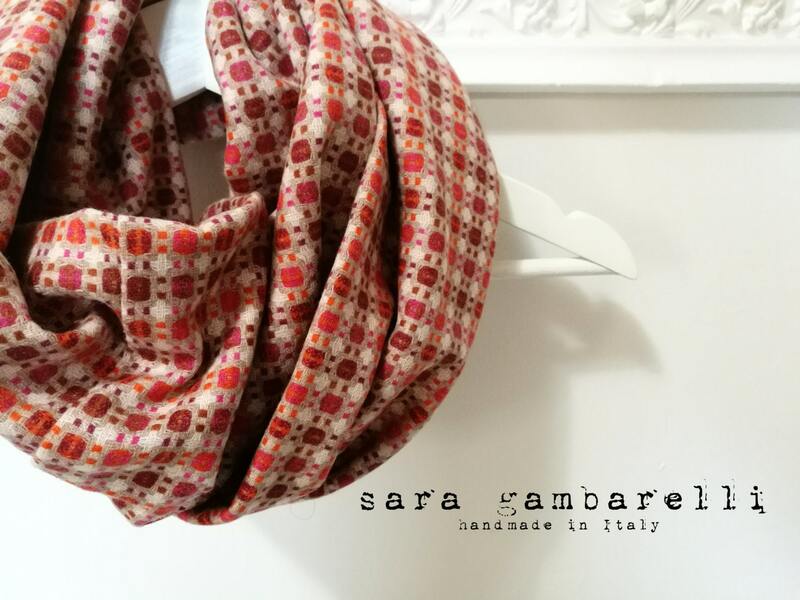 Gometric pattern infinity scarf made in a soft and smooth woolen fabric, totally handmade in Italy. 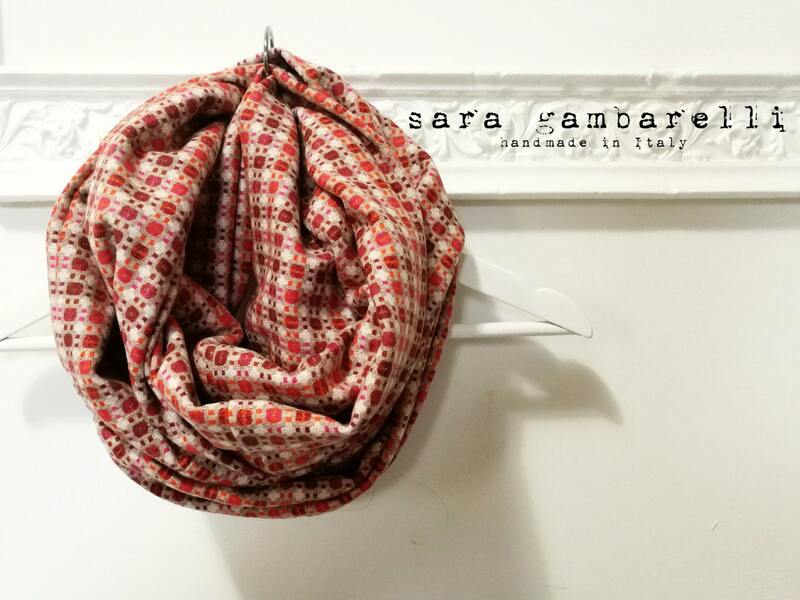 The length of this scarf is studyied to be worn turning it 2 times around the neck. 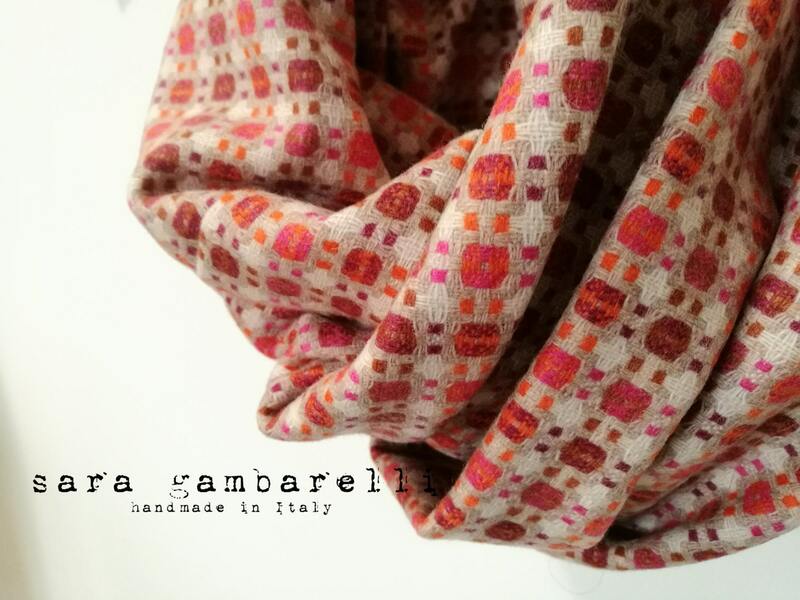 Grazie Sara per le tue meravigliose creazioni! 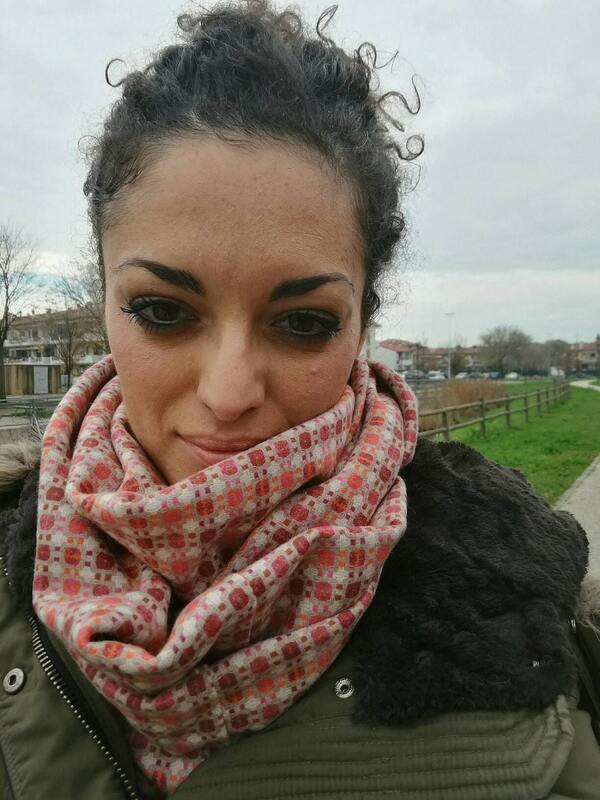 La sciarpa è bellissima, morbida e avvolgente, come piace a me.... indossarla è una piacevole coccola!